I fall deeper and deeper in love with my bullet journal every day. And summertime, with all of the activities and down time is no different. If anything, it’s sort of like the true Christmas in July to spend time with my bullet journal spreads during the summer. Don’t even know where to start on your own bullet journal? Check out our post about how to start a bullet journal! I’ve fallen down a rabbit hole of inspiration for summer spreads and wanted to share a few of my findings with you today! 1. This summer adventure planner layout. 2. 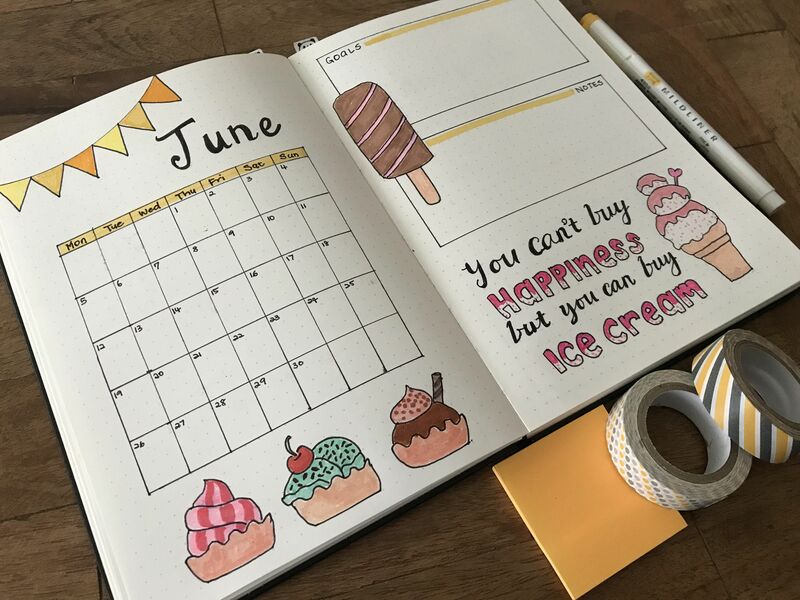 This sweet ice cream treat monthly calendar layout. 3. This whimsical summer bucket list layout. 4. This summer movie checklist layout. 5. This bright summer weekly layout. 6. This visual summer road trip layout. 7. This adorable screen-free summer activities layout.